Gail E. Joseph is a former Head Start and ECEAP teacher, and the Bezos Family Foundation Distinguished Professor in Early Learning. She teaches courses, advises students, provides service, and conducts research on topics related to early learning and equity, child care quality, teacher preparation, early childhood mental health, and school readiness. She is the Founding Executive Director of Cultivate Learning at the University of Washington, and was the Director of the Head Start Center for Inclusion (Headstartinclusion.org) and Co-Director of the National Center for Quality Teaching and Learning funded by the Office of Head Start. 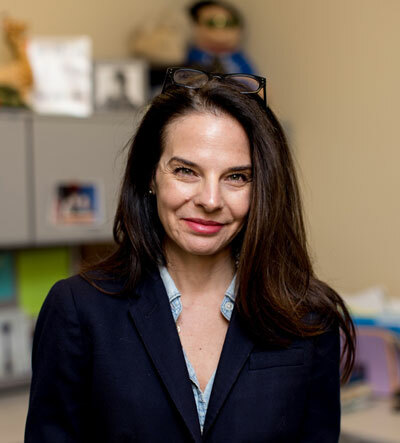 At Cultivate Learning she oversees the work of quality ratings in all licensed childcare and PreK programs in the state, and creates professional learning resources such as Circle Time Magazine and the Meaningful Makeover series. Additionally, she is the Founding Director of the EarlyEdU Alliance. The EarlyEdU Alliance is focused on increasing the quality of early learning settings nationwide by making relevant, affordable bachelor’s degrees accessible to the early childhood workforce. Gail is the 2018 recipient of the David R. Thorud Leadership Award at the University of Washington. Joseph, G., Webster-Stratton, C. & Reid, M. J. (manuscript under review). How to promote young children's social emotional competence. Sandall, S., Joseph, G., Chou, H-Y., Schwartz, I., Horn, E., Lieber, J., Odom, S., & Wolery, R. (manuscript under review). Talking to practitioners: Focus group report on curriculum modifications in inclusive preschool classrooms. Joseph, G. & Strain, P. S. (2004). Building positive relationships with young children. Young Exceptional Children, 7(4), 21-29. Strain, P. S. & Joseph, G.E. (2004). Engaged supervision to support evidence-based practices for young children with challenging behavior. Topics in Early Childhood Special Education. Strain, P.S. & Joseph, G.E. (2004). A not so good job with good job: response to Kohn 2001. Journal of Positive Behavioral Interventions, 6,(1) 55-59. Joseph, G. & Strain, P. S. (2003). Enhancing emotional vocabulary in young children. Young Exceptional Children, 6 (4), 18-27. Joseph, G. & Strain, P. S. (2003). Helping young children control anger and handle disappointment. Young Exceptional Children, 7 (1), 21-29. Joseph, G.E. & Strain, P.S. (2003). Comprehensive evidence-based social-emotional curricula for young children: An analysis of efficacious adoption potential. Topics in Early Childhood Special Education, 23:2, 65-76. Fox, L., Dunalp, G., Hemmeter, M.L., Joseph, G.E., & Strain, P.S. (2003). The teaching pyramid: a model for supporting social competence and preventing challenging behavior in young children. Young Children, July 2003, 48-52. Sandall, S., Schwartz, I. & Joseph, G. (2001). A building blocks model for effective instruction in inclusive early childhood settings. Young Exceptional Children, 4, (3), 3-9. Janko-Summers, S. & Joseph, G. (1998). Making sense of early intervention in the context of welfare to work. Journal of Early Intervention, 21, (3), 207-210. Joseph, G., Fox, L., Corso, R. & Yates, T. (under review). Powerful parenting practices: A training module for parents to support the social, emotional, and behavioral development of young children. Center for the Social and Emotional Foundations for Early Learning: University of Illinois: Urbana-Champaign. Joseph, G. (in press). What works brief: Evaluating social emotional curricula for young children. Center for Social Emotional Foundations for Early Learning. Joseph, G. (2005). What works brief: Fostering young children’s emotional vocabulary. Center for Social Emotional Foundations for Early Learning. Sandall, S., Schwartz, I., Joseph, G., Chou, H., Horn, E. M., Lieber, J., Odom, S. L. & Wolery, R. (2002). Building blocks for successful early childhood programs: Strategies for including all children. Baltimore: Paul H. Brookes. Hemmeter, M.L., Joseph, G., Smith, B. & Sandall, S. (2001). DEC recommended practices program assessment. Longmont, CO: Sopris West. Disorders. In P. Howlin (Ed. ), Behavioural Approaches to Problems in Childhood. London: Mac Keith Press.